Many years ago my wife and I were anchored off White Cloud Island just north of Wiarton. A camp fire was glowing on the beach and as cruisers are wont to do, we dinghied over to meet out neighbours. Around the fire were a man, woman, three children and two dogs, all having a great time. As the evening progressed we discovered that the 30' sailboat at the public dock was not only their first boat but they were also enjoying their first sailing experience. They had bought the boat in Midland and were cruising to Tobermory. they had no experience, no navigation training and were equipped with a road map and Loran-C which they could not operate (they had also bought the boat without benefit of a marine survey). For the rest of the summer we looked for their names on the evening news. I simply do not understand how someone with no experience or training can purchase a 40' sailboat, a jet-ski or cruiser capable of 30knots and set off on the water with granny and a load of kids. It is unthinkable that we would allow this on our highways. Why on our waterways ? I firmly believe that licensing of vessel "drivers" is needed and that the Canadian Power & Sail Squadron 11 week "Boating Course" should be a minimum requirement for acquiring such a license. Our government has made a feeble attempt at enforced education in the form of the "Operator Proficiency Card" ( frequently and incorrectly referred to as a license ) however, the test to attain this card can be aced by any reasonably literate 10 year old with no knowledge of boats or boating whatsoever. 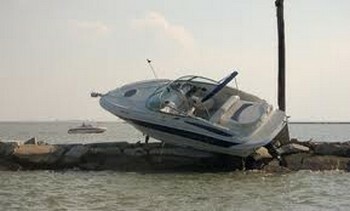 Sailboaters and powerboaters are equally remiss in their lack of education and each have their own particular failings. It is common see powerboaters with gasoline engines turn on the blower then instantly fire up the engines, many also have a complete disregard for what their wake does to saiilboats. fisherman claim right of way but according to the "Collision Regulations" there are no "fishing" boats on the Great Lakes. 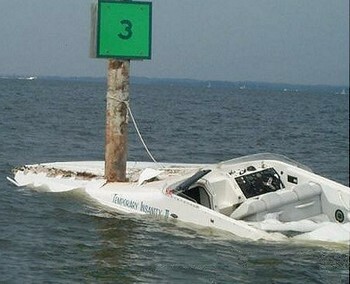 Many sailboaters believe they have "right of way" over powerboatsbut there is no such thing as "Right of Way". This term does not appear anywhere in the "International Collision Regulations". Colregs mention "Give way vessel" and "Stand on vessel". In most cases a sailboat is the "Stand on Vessel" and means that the sailor shall maintain his course. Think about it...this only makes sense. A sailor maintaining his course allows the other "give way" vessel" (powerboat) to adjust their course and avoid collision. Unfortunately many sailors believe that it is their given right to tack or jibe at their whim and even more unfortunately this is what I have I have witnessed being taught to young sailors in several nationally known sailing courses. I firmly believe that licensing vessel "drivers" is long overdue and that the Canadian Power & Sail Squadrons 11 week Boating Course should be a mandatory minimum requirement for acquiring such a license. Boater Skills - Craig Hamliton in Port Credit can teach you boat handllig skills, Red Cross marine first aid or test you for a Toronto Harbour License. Dusty Miller. A very good boat handler but more importantly an unsurpassed teacher has produced a series of excellent videos.. Sailing lessons on your own boat to CYA standards by the highly regarded Neil Gillespie. Aquafacts Marine Surveys - My friend and fellow AMS® Craig Morley is also a fine diesel mechanic and often runs diesel course in various venues for power squadron and yacht clubs. Boat US®. 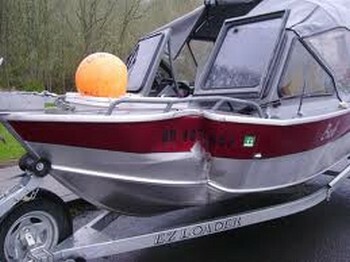 on line boating safety course, free course from the only consumer protection outfit in the business.